Have you been thinking about potential majors and minors? If so, that’s great, and if not, now’s a good time to start! 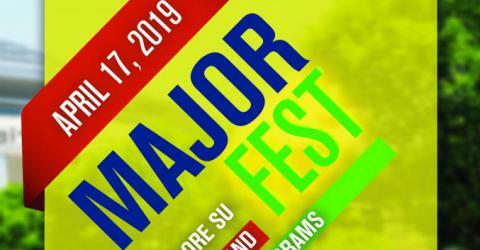 We are hosting the annual MAJOR FEST on Wednesday, April, 17th, an afternoon full of activities designed to support your major and minor programs exploration journey! Meet faculty members and alumni from each program, ask your questions at the Program Stands, have dinner and fun at Piazza Cafe with our DJ and Müzikus! A supplementary career planning seminar "Roads Open Up When We Discover Ourselves" will be held on Monday, April 15th and Tuesday, April 16th at 17:40 in Cinema Hall. We hope to see you at the Fest! PRE-REGISTER HERE to guarantee your dinner and a chance to win from the lottery! VISIT MAJORS WEBSITE to reach our Guide to Choosing a Major, Major Myths, Declarations Guideline Tutorial and Major Fest 2019 pages. For more information on the event you can contact us on majorfest@sabanciuniv.edu.